Willie Obiano is a native of Aguleri in Anambra East Local Government Area of Nigeria. 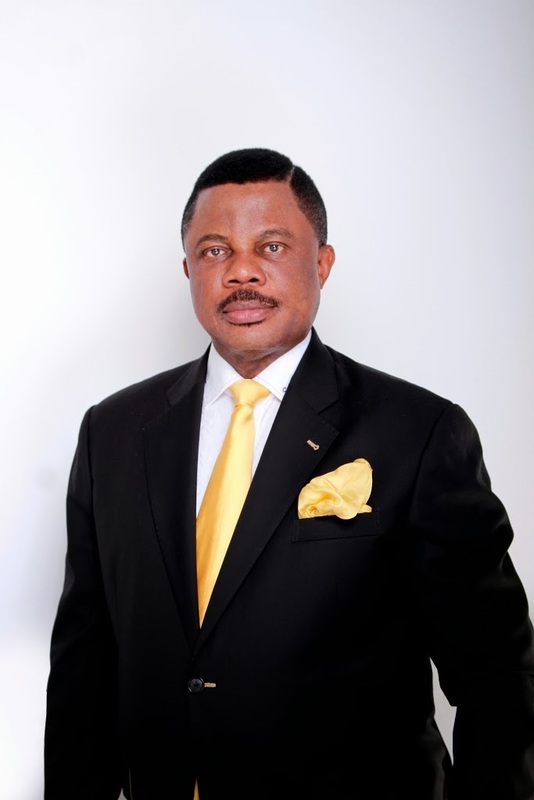 He was born on August 18, 1957.
secondary school, Obiano proceeded to the University of Lagos where he obtained a B.Sc. (Second Class Upper Division) in Accounting in the year 1979 and an MBA in Marketing in the year 1993. Willie Obiano was very outstanding while in school. In the year 1974 at Christ The King College (C.K.C). Onitsha, he won the John F. Kennedy Award for Essay. During his National Youth Service, he was awarded a national Merit Certificate for outstanding service in Benue State and the Best Youth Corper Award. Obiano worked at the First Bank of Nigeria as a Supervisor in 1981. He worked with Texaco as the refineries and bunkering auditor. Before joining the Fidelity Bank in the year 1991, Willie Obiano was the Chief International Auditor of Texaco. At Fidelity Bank, Willie was a Deputy Manager and Head of Audit. Shortly after he joined the bank, he was elevated to the position of a manager. In the year 2003, he became an Executive Director, having been General Manager in the immediate past year. Apart from academic Award, Willie Obiano have also bagged several professional awards such as: Distiguished Banker of the Year 2012 Award e.t.c. Willie Obiano is a Fellow of the Institute of Chartered Accountants of Nigeria (ICAN); Patron, Institute Of Chartered Accountants of Lagos (Mainland); President, AMP8 (Advance Management Programme) of Lagos Business School for Ten years period; Member, 2006 Building New Ventures; Member, Harvard University, USA CLASS, Member, Harvard Business School, Boston USA and Stanford University. In November 2013, Willie Obiano became the governor of Anambra Sata, having successfully contested for the position under the platform of the All Progressive Grand Alliance (APGA). He succeeded Peter Obi as the governor of Anambra State.